1.) Welcome to North Carolina folks. Home to barbecue, Tar Heel basketball, Panthers football, and probably the most difficult winter weather forecasting location in the country. Check out the forecasts for the Charlotte region, well the NC Piedmont as a whole, and you will discover what lies 'round the corner. I was outside a few minutes ago and it's 59 degrees with the frogs croaking. Everything will change...Sunday afternoon through early Monday is evolving into the best shot at accumulating snow since the February '04 storm that dumped anywhere from 14-24 inches of snow on folks residing in the Piedmont. Latest forecasting models are suggesting anywhere from 4-8 inches from roughly I77 east Sunday through about lunch time Monday. Of course this is what happened in '04 when the "Nor'easter that took the wrong route" blew through the state causing heavy snow and conditions akin to a blizzard at times. As of right now, it's looking like a snowstorm is on it's way, but, just how much we'll receive is anyone's guess. If a few heavier pockets and bands of snow work their way through the area, we could end up with 10"+. There's still a chance that we don't get much, but as of this post it doesn't look like we'll be witnessing a miss. Oh yeah, if everything holds together, the NWS should issue Winter Storm watches/warnings by tomorrow morning. To sum everything up in fly fishing terms, "don't put that vise away just yet"...you may have to continue tying a little while longer...not much though (few days) Quill Gordon's are fast approaching!! 2.) More on the evolving storm, and a report should be posted by tomorrow. 2.) Before our possible snow event, warm air is in place, and I say you outta take the fly rod out and jump in a river...Great conditions today and tomorrow. It's looking like the 2nd week of March will bring the Quill Gordons and the Blue Quills, could be off a little, but regardless, they are coming, so stock up on those QG's. 1.) It has been a fairly cold day today across the Carolinas. Here in Kannapolis, NC it has been in the mid 40's all day and is currently 44 right now. The weather has been the complete opposite of what we saw 2 weeks ago. Still, the cold air isn't epic and FRIGID, but it is a reminder that Winter isn't quite over just yet. 2.) As of now, it is looking like a decent fishing day may play out tomorrow, with lower 50's in the southern mountains of NC (Asheville, Brevard) and upper 40's in the northern mountains of NC (Boone, Banner Elk...) It's still well on the cold side, but if you get your fly down to the bottom and make sure it's getting to the trout, you should have a good day. Small BWO nymphs #18-22 have been working, as well as your basic PT nymph. Small midges have also played a key role in trout food, so keep a few #24-28 midges in your box, as well as small San Juan Worms. Water levels have been low, but not anywhere near what each Summer brings in terms of the drought. 3.) So if you do venture out to your favorite trout streams, stay warm and report back...Everyone have a good weekend and thankyou for reading. Fishing report and a full post will be up tomorrow evening. It's been a hectic week, but Friday is just around the corner...Oh yeah, about that snowstorm, well, it's not looking all that impressive as of right now, could change, but not looking overly impressive. Again a full post will be up tomorrow evening. Everyone have a good evening and thankyou for supporting Tar Heel Fly Fishing. I have established a new poll over on the right hand column, so take a look. (I know the polls are not open at the moment for some reason, so hopefully Blogger will resolve this issue). Snowstorm? Hype right now...But come tomorrow...??? Well, just by looking at a few of the computer models, and taken verbatim, we may be in line for a dumping of snow Saturday night into Sunday. For any of my fellow weather enthusiasts, the Canadian and European models are showing 6"+ for the Charlotte area ith higher amounts north and east. Now, this is a few days away, and A LOT of things will change. I can't stress this enough. The bottom line is, there is hope for us snow geese out there, and this storm is looking interesting. Nothing is set in stone just yet, and the meteorologists will have a better feel for the track and intensity of the storm by late Thursday. I'll post more info tomorrow....I hope. With all of this being said, everyone have a good evening. 1.) It has been a great day in terms of weather. Warm, but windy conditions have lasted the entire day (well, for the past week...). I stepped outside this morning and it was 47 degrees. This is unusual warmth for the middle of February. Average highs for the month are in the upper 50's. The past couple of days have been 17 or so degrees above average. With all of this warm weather, the trees and flowers are starting to bloom and everything is looking like a mid Spring day-for now. (Area cherry trees are going to have a RUDE awakening come Saturday.) Tomorrow will be the last of the warm spell, and then after that, the cold air is back. Upper to mid 60's in the Piedmont of NC and low to mid 60's in the lower valleys in the mountains. The warm temps will abruptly end on Saturday, and upper 40's are established into the region. 1.) If you have ventured outside today, you probably know full well that it has been WARM. Temps here in Kannapolis have hovered around 73 degrees. This Winter has been unusual in terms of weather. We were down in the upper 20's for highs on Wednesday with 3 inches of snow, and then the southwest winds started cranking and we're up in the 70's. Tomorrow is going to be another great day for fishing. 2.) If your favorite trout river is the Davidson, AKA the "D", all I'm going to say is have at it...conditions are looking good. The water temps are still chilly, but another day or two of mid 60's in the mountains, and the water will warm. Some of the springtime bugs may start hatching. It's happened before, and it'll probably happen again. The Tuckasegee, Watauga, S./N. Mills River, and much of the GSMNP streams will have some of the best fishing seen since November. Most rivers and streams are flowing pretty low, not too bad, but a little low. Like mentioned before, springtime bugs may make an appearance, so have Quill Gordons, Blue Quills, and Early Black Stones at hand. It won't be much longer until the rainbows start spawning, and fish start looking for eggs from March through May, so there's another thing to anticipate. I've got to get out of town and hit the "D" or the Watauga before Old Man Winter returns (It'll be my luck to have an oppurtunity to go, but in 30 degree temps....). I don't know about the rest of you guys, but I'm ready to throw the tent in the truck and take off to the Smokies. I can already hear the wild brookies calling me. 3.) Thank you for taking the time to stop by and read. Everyone have a good one and tight lines. Just added a few widgets on the left and right columns, so please inform me of any abnormally slow loading. Snow has indeed piled up here in Kannapolis. I went out and measured it and it was 3 inches. Sadly, this is the heaviest snowfall accumulation we have had in years. The snow has also affected the temps. 25 was a forecasted low...20 is the current temp right now, because the snow reflects heat...This was kindof a freak thing, where a few snow showers were forecasted, but we got more thn expected. Just demonstrates that Ma Nature can do anything! 1.) As the title implies, there may be a few snow showers that wander through NC later tonight. Most of the heavier stuff will be confined to areas along and north of Interstate 40, and roughly from the Triad to the Triangle. Not a lot in most places, but, a few neighborhoods could see upwards of 2-5 inches (like always think towards the lighter side). It's a WHOLE different story for the mountains, as folks along the border of TN/NC are in for a wallop. NWS is calling for 4-8 inche in the lower areas, and up to a foot along the higher elevations on and adjacent to the border. 2.) On to fishing....Well, snow is already beginning to fall in a few places up in the high country, and it will continue through tomorrow night. Fishing will be EXTREMELY tough for a while. Snowshoes are almost more of a necessity than a fly rod in most mountainous places in the state. A reliable wading belt is also a MAJOR necessity when temps are cold. One slip on a moss covered rock, and you'll be under before you're able to call for help. The only thing hatching right now are midges...Not a lot, but a few sporadic hatches may occur, if it gets above freezing. It's a little too cold for BWO's, so if you venture out, use any of your favorite small nymphs and fish it on the bottom. A few of my favorite Wintertime flies are a #18 Lightning Bug, a #22 Zebra Midge, a #18 PT nymph, and my alltime favorite fly...a #10 Sheepfly. 3.) Huh, just looked out the window, it's snowing over here in Kannapolis. Coming down at a nice clip too. I just wanted to say thanks to all of my readers and followers. 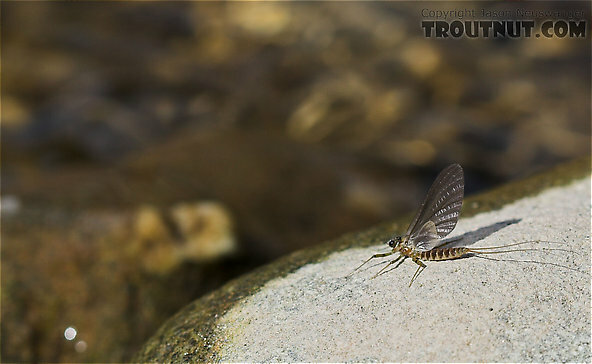 679 views on Tar Heel Fly Fishing, and I've only been a part of the "Blogosphere" since September. Thanks again for all of the THFF supporters...Keep all of the feedback coming...At the bottom of each post you can comment about anything you would like to see more of, or you can shoot me an email at thflyfishing@aol.com. Another post will be on here by Tuesday at the latest.